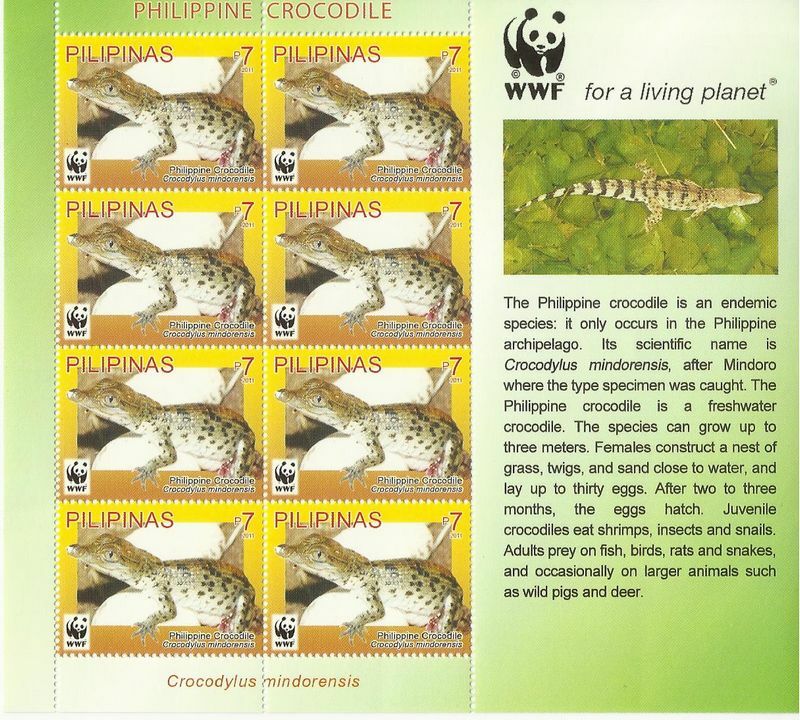 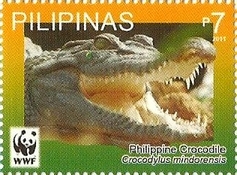 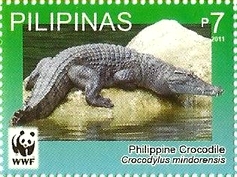 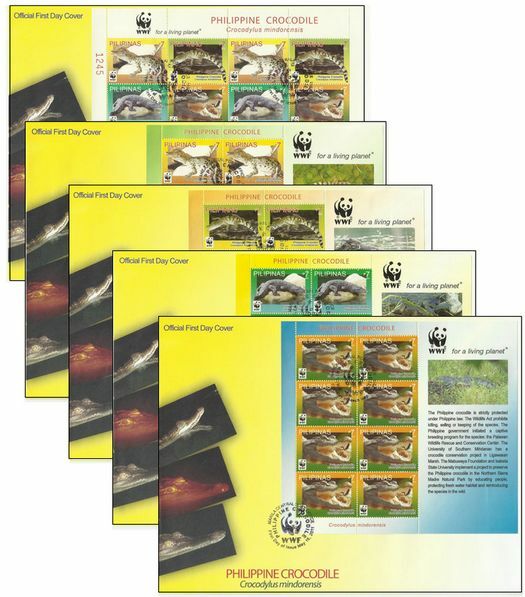 In 2011, the Philippine post office issued a special set of stamps about the Philippine crocodile, with pictures from, among other sources, the Mabuwaya Foundation. 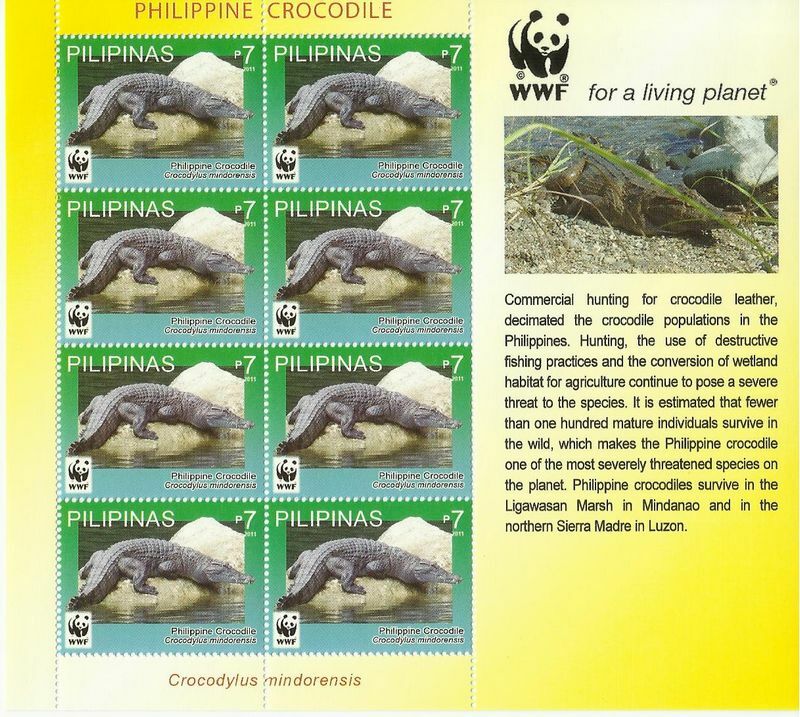 These stamps are for sale at Philippine post offices or can be ordered through the Mabuwaya Foundation. 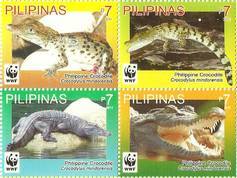 Just send us an e-mail. 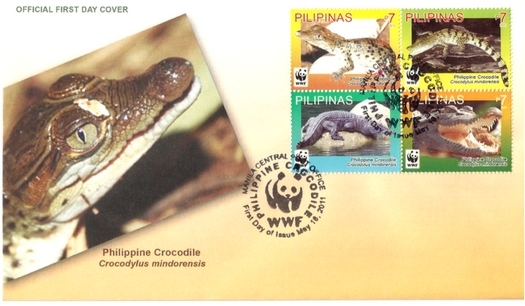 The official First Day Cover is a small envelop with all four stamps printed on it. 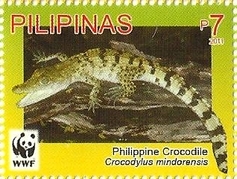 It is stamped with the official first day stamp. 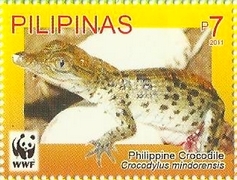 The picture on the left is of a Philippine crocodile hatchling (by Merlijn van Weerd 2008). 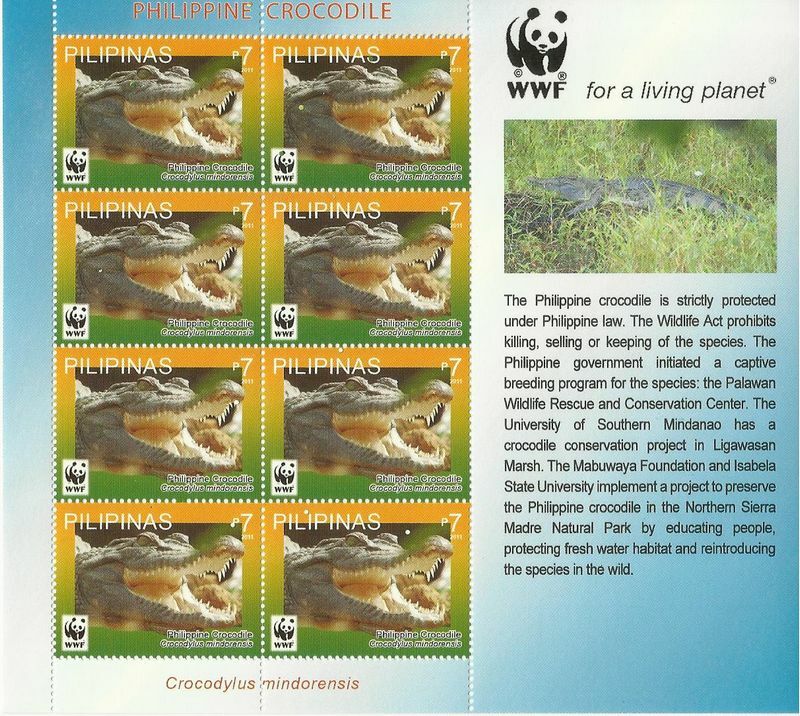 This envelop can be ordered for P100 + costs of sending. 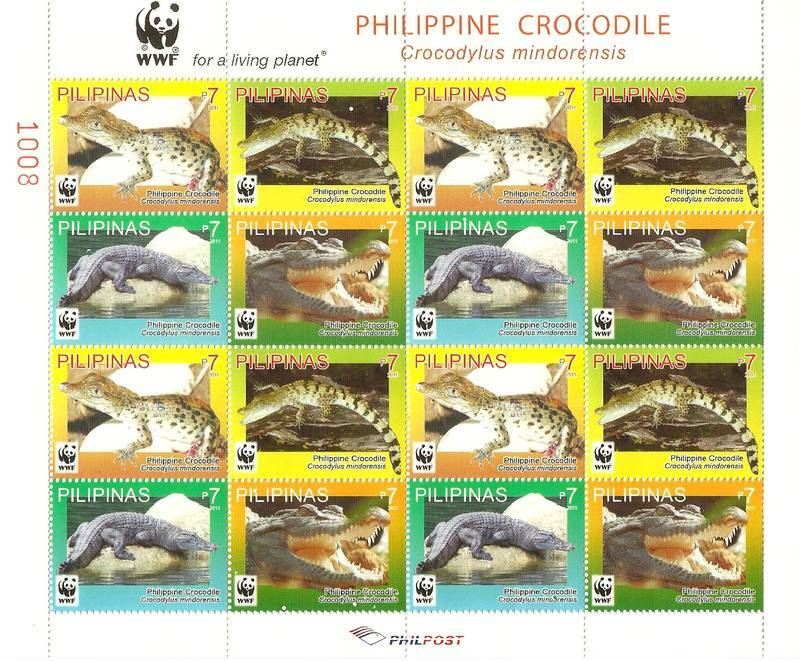 There are five original stamp sheets (depicted below), that can be viewed seperately on the right side of the screen (click on single stamps to see sheet). 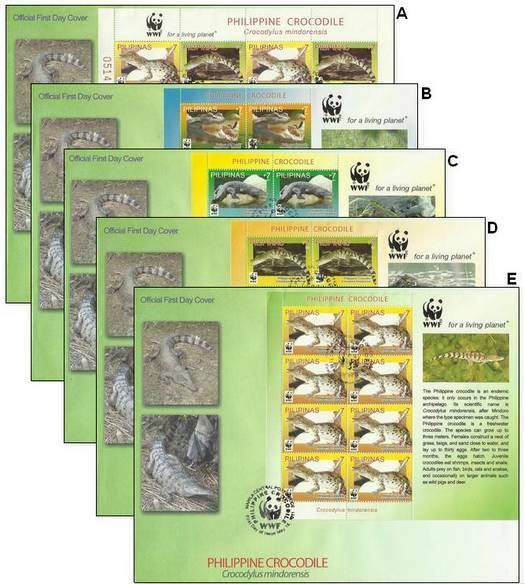 Sheet A is a sheet of 16 stamps, 4 of each design. 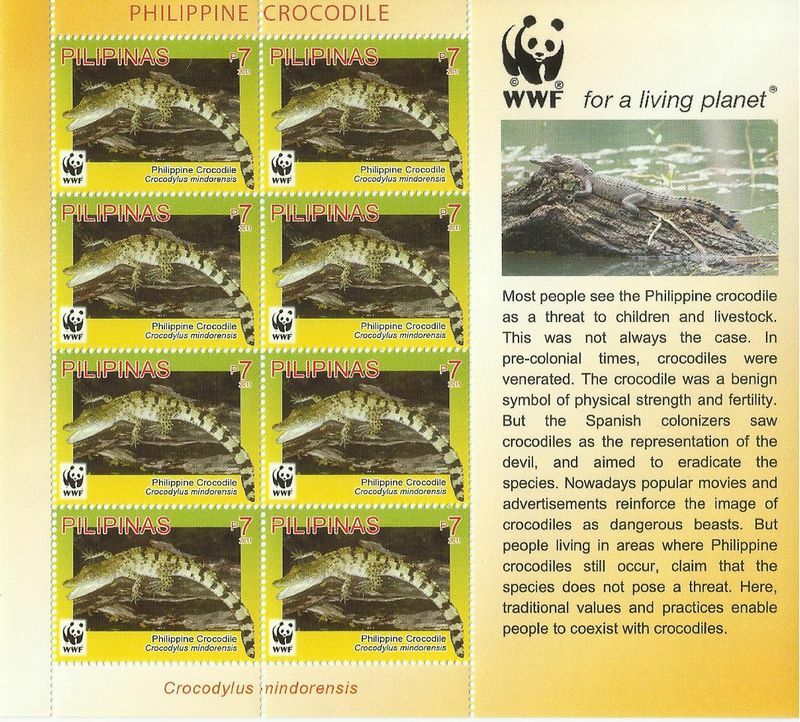 Sheets B-E are the individual stamps, with a story and a different Philippine crocodile picture on the right side of the sheet. 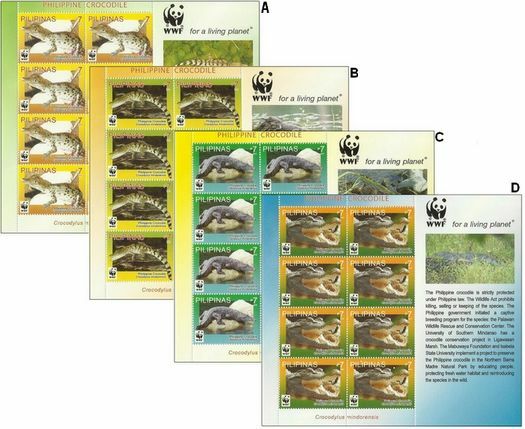 All sheets have also been pasted on, bigger, first day envelops, sold in two varieties, a green and yellow envelop.